We call on them to reconsider their decision to close Rotherham Post Office and for it to remain open as a vital service in the centre of town. The Crown Post Office in Rotherham provides vital services like passport renewal and driving licence verification, which will be difficult for to people to access elsewhere. It is well used and a big loss to the town. Rotherham deserves better. Would be BIG mistake to close our Post Office, We Need it. A massive thank you to everyone who turned up to our event - we were in the local paper raising this important issue. Please remember to get people to sign and you can download paper copies too! 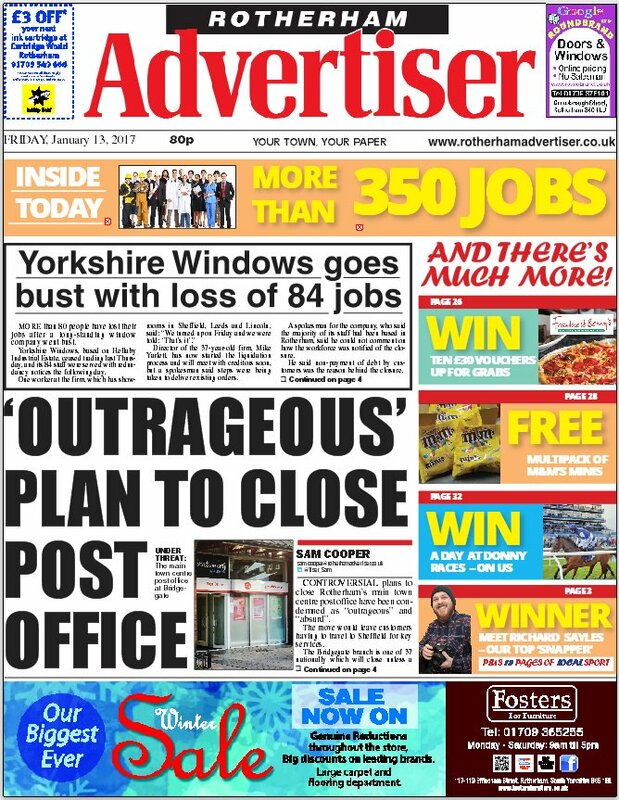 Great to see the Rotherham Advertiser cover the outrageous decision to close Rotherham's Main Post Office on Bridgegate https://pbs.twimg.com/media/C1_DghHXAAAxppE.jpg Please spread the word and lets get more people to sign the petition!